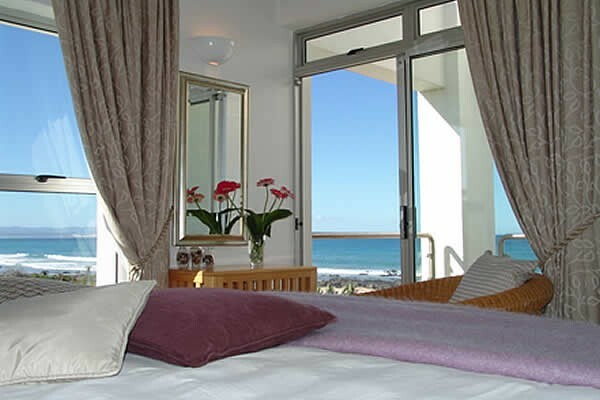 Situated on the main beach, the five star Diaz 15 offers you the best in luxury in Jeffreys Bay. 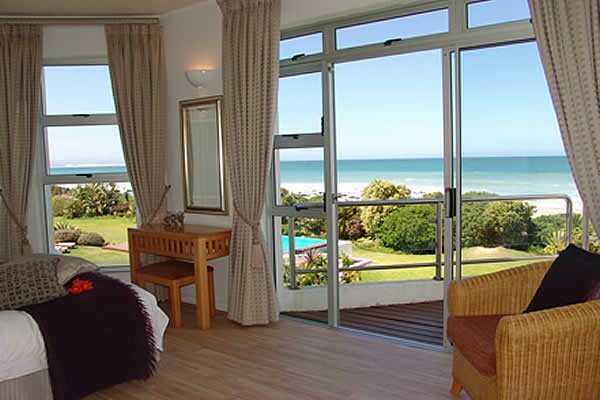 Well-appointed patios and balconies are ideal for barbecues or relaxing over a sundowner while watching dolphins and whales, a common sight in the bay. 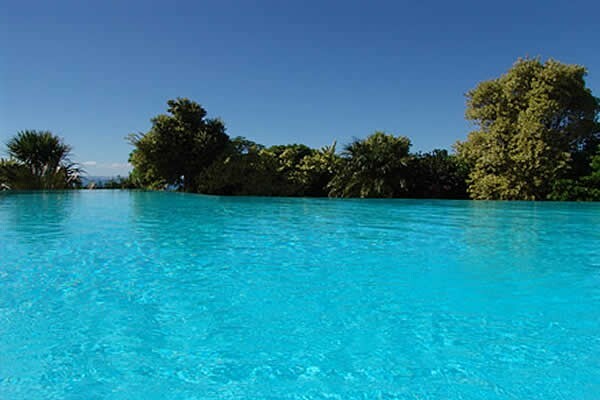 A rim-flow swimming pool overlooks the expansive beach. Scrumptious breakfasts are unhurried and privately - served in the comfort of your own suite. Ivory beaches, sparkling surf and a gloriously temparate climate make Jeffreys Bay, South Africa, a sun-seekers playground. Set in lush green gardens, the suites and penthouse are tastefully decorated, spacious, air-conditioned and equipped with every modern convenience. Total luxury, total relaxation, total peace. Take advantage of the endless summer and supreme coastal leisure: enjoy safe swimming, shell collecting, golf, sand boarding, sea-kayaking, or walking the endless stretches of beautiful beaches. Explore the town of Jeffreys Bay with its interesting, electic variety of small restaurants, a shell museum and shops reflecting the diversity of local talent. From the N2 take exit 676 (Jeffrey's Bay) onto the R102 towards the sea. Continue straight through 3 roundabouts and after the road bends right into St Francis Street, take the first left into De Reyger Street. Continue to the T-junction at the bottom and turn right. We are the first on the left, number 15.